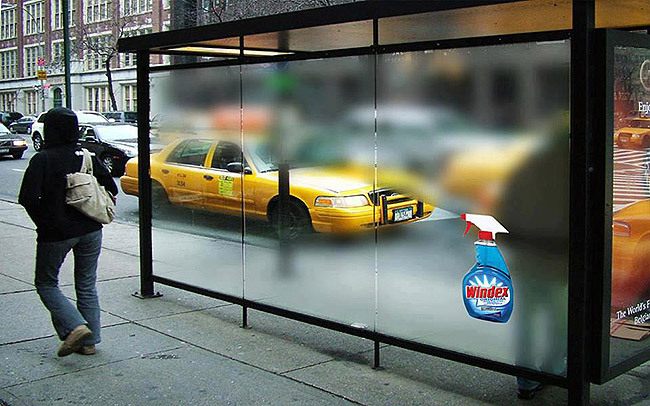 Guerilla marketing is a term that describes advertising through the use of low-cost, unconventional marketing tactics to yield maximum results. Guerilla marketing relies heavily on high energy and imagination. The goal of this advertising strategy is to make a memorable impact on your audience. For small businesses or start-ups, this type of campaign can be extremely useful because its focus is on the amount of buzz that the advertisements can create, rather than the cost of making them high quality. Rather than blowing your advertising budget on a local commercial, consider using this smart business tactic instead. If you are still unsure, we have listed 6 great tips below that may help inspire you to start brainstorming. One guerilla marketing tip that is often overlooked is the importance of staying positive. Anger or shock may get people talking, but it will not get them to support your store. It does not make for happy customers. Even if you do stir up some controversy, just make sure that, in the end, your business is shed in a good light. For example, Taco Bell put out fake news articles saying that they had bought and renamed the Liberty Bell. This got a lot of patriots riled up, but their anger dissipated when they realized it was just a clever joke. Try to keep your guerilla marketing campaign as positive as possible. One of the best ways to adapt guerilla marketing for small business is to identify a core message. You want this core message to be able to be communicated in a clever installation or a 5-second exchange. When you set clear objectives, you can better imagine all the different ways to make that core message come to life. The ultimate goal is always going to be to gain media attention and build a positive connection with customers. Make sure your core message gels with that ultimate goal. This is certain to help you generate awesome guerilla marketing ideas. Guerilla marketing should be shareable. Social media content can be a useful tool in reaching your audience. Creating something specifically for the web can help your campaign spread faster than ever. Viral videos and an active social media presence are the key to good online marketing, and guerilla style marketing is no different. No matter what your message is, it is important that your guerilla marketing campaign includes a call to action. It is not enough to make people remember you. It is also important that you encourage them to buy your products or services. Remember not to lose your product focus in the shuffle of creating something share-worthy. One popular way guerilla marketers get people’s attention is to disrupt the landscape. If people walk the same streets every day, they are sure to stop and take notice when something changes. Sidewalk chalk is a popular tool, as is graffiti art. Make something that stands out from its surroundings. This is sure to give you much better results than those old-fashioned online newsletters. Free media is every business’ best friend, especially those on a budget. You do not have to spend millions of dollars to make a successful advertising campaign. Free media is readily available to anyone who knows how to leverage it. Find out how you can spread the word about your business in a creative, cost-free way in your area. When you are using guerilla marketing tactics, like Yellow Box does, it can be easy to overlook your target audience in favor of your available audience. However, you should always keep your target audience in mind when creating any type of advertisement. Remember to use guerilla marketing tactics that will peak their interest. Small businesses can make excellent use of guerilla marketing with these tips above. You do not have to blow your budget on a magazine ad when you can find a more unique, less expensive way of reaching your audience. This is the strategic marketing definition. Guerilla marketing is a great option to consider – just be sure to follow the tips above when you put it into action. Using a guerilla marketing campaign is sure to put your small business on the map.